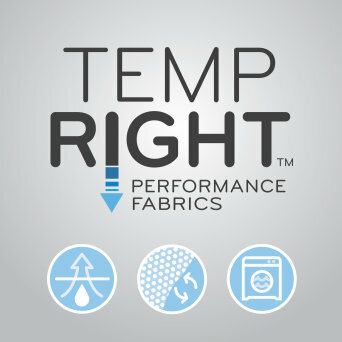 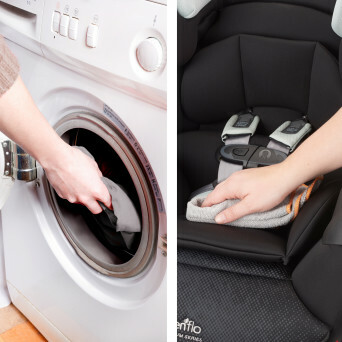 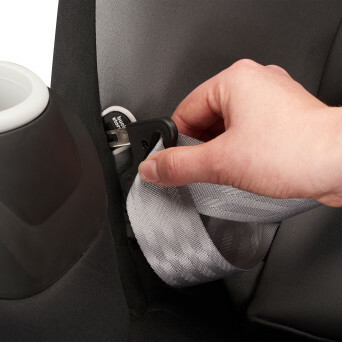 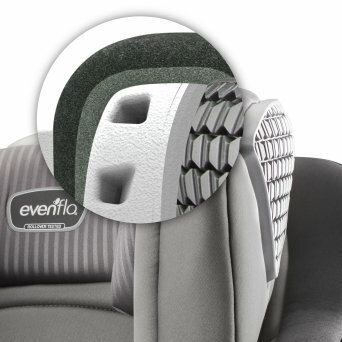 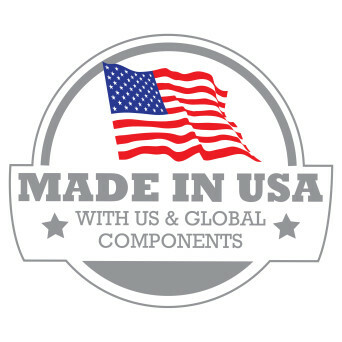 Evenflo continues to redefine industry standards with the FIRST ROLLOVER-TESTED Car Seat. 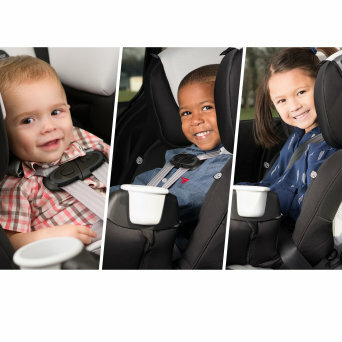 SafeMax™ allows your family to travel with peace of mind and provides extended safety from birth to harness booster mode (5-120 lbs). 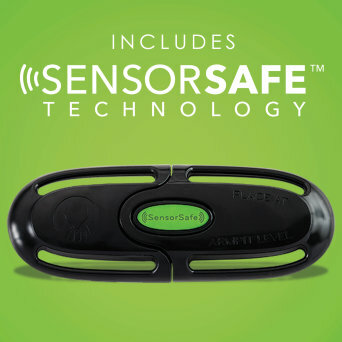 SensorSafe Technology works by alerting a caregiver that a child is present in the vehicle upon reaching their destination or if the chest clip becomes unbuckled during the trip. 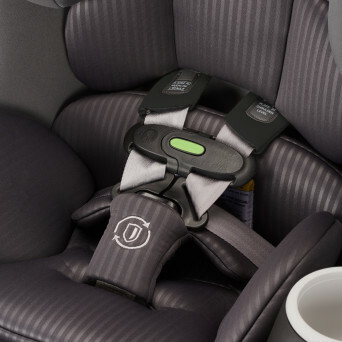 A powerhouse of protection, the SafeMax all-in-one car seat combines innovative features like an integrated steel frame, SafeZone headrest, and rollover-testing to create a new spin on car seat safety. 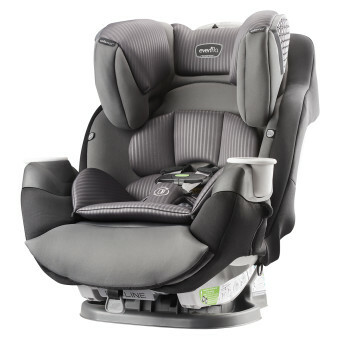 This all-in-one seat can be used rear-facing, forward-facing and as a belt-positioning booster, covering a wide spectrum of seating options. 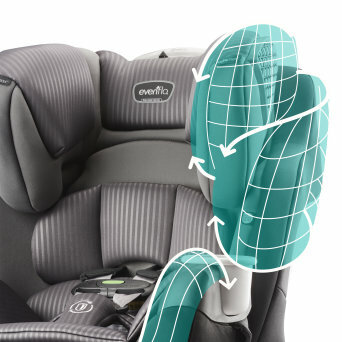 All SafeMax car seats have been tested above and beyond industry standards and undergo Evenflo's rigorous dynamic rollover test. 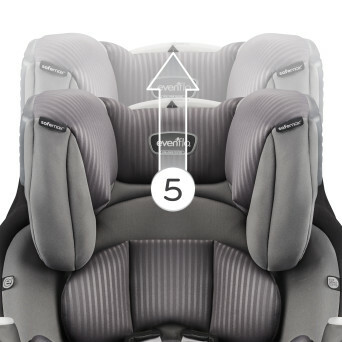 Additionally, SafeMax car seats include Parentlink Premier service perks like an extended warranty, and free live video installation support. 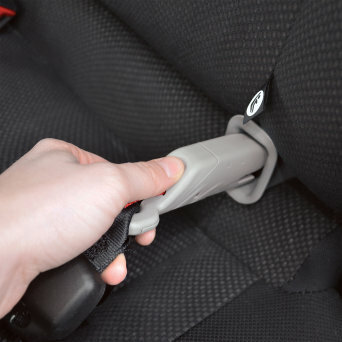 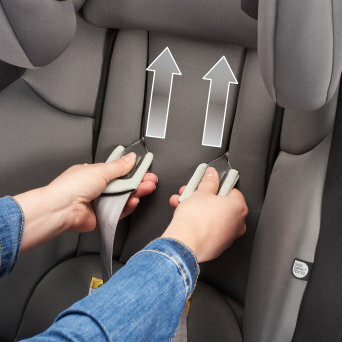 Fit: Top of child's ears are at or below the top of child restraint. 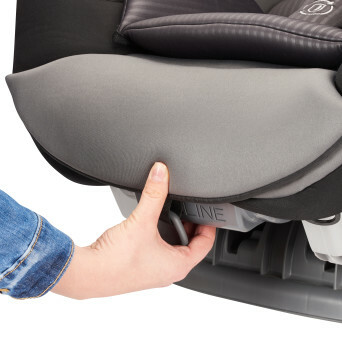 Fit: The top of the child's ears are at or below the top of the child restraint seat back. 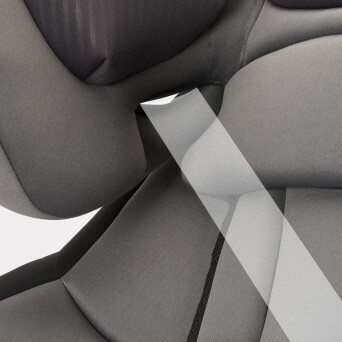 Testing above and beyond industry standards including the simulation of a roof-to-ground contact incident, and impact responsible for the majority of injuries in a rollover event.